Get your salt shakers ready. According to unnamed sources from Shenzhen-based supplier O-Film Tech (via Digitimes), the Google Nexus 7 may be in for a very substantial price drop. Purportedly, the Asus-made tablet could dip as low as $99, making it by far the least expensive device in its class. A tummy tuck may also be in store for the tablet, possibly sporting an even thinner design. Admittedly, when it comes to accurate industry prophecies, Digitimes is somewhat incredulous. The Digital Reader though seems to have found some supportive evidence which helps validate Digitimes' claim. According to their EXIF tags, this set of photos discovered on Picasa have been taken by a yet-to-be-released Asus tablet: the ME172V. We don't know what this tablet is yet, but it does provide one more inkling of evidence that a new Nexus could be on the way. Again, there's a lot of speculation being done here. The aggressive (but rumored) $99 price tag bests even the budget-minded $159 Amazon Kindle Fire -- a tablet once priced below its own build costs. The Nexus 7 too, would most likely be sold at a loss, considering iSuppli determined the build cost of the tablet was $152 in July. That cost has probably dropped since production has been running, but certainly not anywhere near $50. 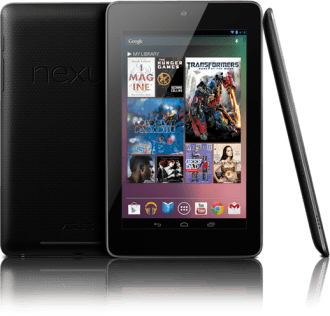 However, selling the Nexus 7 at a loss may not be such a bad thing. Much like Amazon, Google could be planning to offset those losses through its Google Play app store revenue -- the more Android tablets out there, the more it stands to make. At 99 bucks, the Nexus 7 is sure to pick up some market share (and good will) for Google as well, not that isn't already one of the best-selling tablets out there.